WPP's decision to merge vintage advertising brand J. Walter Thompson with direct-and-digital shop Wunderman holds a mirror to the ethos of advertising today. Couple of days back WPP united two of its agency brands to form a new entity: Wunderman (a 'creatively-driven, data-inspired digital agency' brand) and J. Walter Thompson (a 'marketing communications' brand) have been brought together to form Wunderman Thompson. The merged entity is positioned as a 'creative, data and technology agency'. Here's a more elaborate description of the kind of services Wunderman Thompson will offer: 'The new organisation is positioned as a provider of end-to-end solutions, through creative, data, commerce, consulting and technology services', per a press note. The development is in line with former WPP CEO Sir Martin Sorrell's recently articulated vision to simplify the structure of the network - and, consequently, its proposition to clients - through internal consolidations of this kind. Present CEO Mark Read says, "Clients want greater simplicity from their partners and this development, like others at WPP, is designed to reshape our company around their needs..." Before taking over as COO and eventually CEO of the network, Read was global chief executive of Wunderman, a position he held for nearly four years. Last year, within GroupM, WPP merged MEC and Maxus to form Wavemaker, a 'media, content and technology agency'. 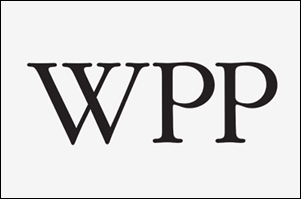 There are more examples of internal consolidation on WPP's PR and design fronts. Couple of months back WPP announced the creation of VMLY&R, a new agency it created by uniting its agency brand Y&R with its digital marketing firm VML. The new entity is positioned as a 'brand experience agency'. Within WPP, globally, individual agency brands are rolling back into the fold of the parent network. A full circle, some old-timers in the industry, call it. While on the subject of acquisitions, recall that Sorrell's WPP, in what was at the time an industry altering move, acquired J. Walter Thompson in 1987, when the latter was over ten times the former's size, on paper. Wunderman Thompson will be an agency of over 20,000 employees across 90 markets, including India. What are the implications of this development in our market? What does this internal merger mean in the context of Indian advertising? For starters, this development comes at a time when debates and discussions around the validity of the 'traditional', 'full service' advertising agency set-up have become commonplace. Marketers have woken up to the existence of newer, independent pools of talent outside of the conventional ad agency system. These are shops that offer specialised services of the kind full-service agencies are, parallelly, equipping themselves with, through acquisitions and collaborations. Secondly, there's chatter that tech and consulting firms are independently making clients out of brand marketers, without going through the agency layer. What was the exclusive preserve of advertising agencies has now become fair game for many different types of companies that weren't previously seeking business from marketing companies. The buck that previously unequivocally belonged to the ad agency is now being split many ways. Thirdly, the application of tech to advertising and marketing is on the minds of all agency and brand heads alike. In such a scenario, it's important for agency brands to make the right noises. And a lot of these noises go 'data', 'tech', 'analytics', 'consulting'. 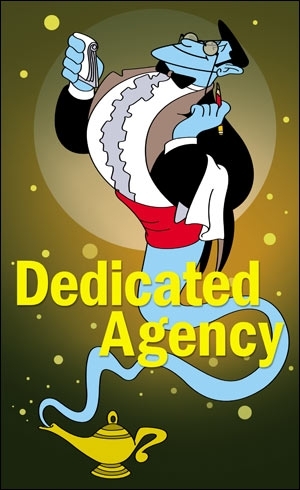 The preamble to Adweek editor Patrick Coffee's article on the creation of Wunderman Thompson reads: 'World's oldest agency joins digital network'. The caption below a picture of the two agency logos reads: 'The world's oldest ad agency will merge with the first direct marketing agency'. The subtext is clear; these are statements of youth-by-association. This is applicable to our market too. Just as we were beginning to grow accustomed to calling the agency "J. Walter Thompson", as opposed to its more popular acronym 'JWT' - which was used between 2005 and 2014 - the agency brand has been dissolved to give way to Wunderman Thompson. What amuses me is the dual reality of 'brand JWT' ceasing to exist here on and Wunderman being the first name of the merged entity. While there might be finance related reasons for that, it's the semantics of it that interests me, especially when I look at it from the perspective of the brand marketer, the one for whom, this sort of agency brand is designed and positioned. Other eponymous founders in advertising include Leo Burnett, Ogilvy & Mather, Tragos-Bonnange-Wiesendanger-Ajroldi (TBWA), Bartle-Bogle-Hegarty (BBH) and Foote-Cone-Belding (FCB), to name the ones most easily recalled. For many such, the logos are the signatures of the founders. In India, J. Walter Thompson was known as Hindustan Thompson Associates (HTA) for a long time. Read more about the nomenclature change in this 2002 article. Are vintage agency brands no longer attractive to clients? Wait, that's being unfair to ad agencies. Let me rephrase. Given the present zeitgeist, is any kind of vintage unattractive? When Nadia Chauhan revamped Frooti in 2015, she admitted that heritage is a euphemism for baggage. Just like 'the 30-second TVC' became a bad world in the universe of digital and content, are large, networked advertising companies feeling the pressure to re-look their offering - and the way they're positioned in the market? They do seem to be keen to shed the vintage cloak. Says Tarun Singh Chauhan, former managing partner, JWT, and former president, Lowe Lintas, "Advertising agencies need to re-package their agency brands and re-calibrate their product. Putting Wunderman before Thompson might just be a strategic error. The JWT brand name stood for advertising. And great brands are built by great advertising. Now marketers may not know what the merged entity is all about and may go to a boutique creative shop for the advertising part." Chauhan presently runs his own consultancy (TSC Consulting) that helps organisations chart market strategies and product portfolios. Another prevalent view is that classical advertising brands have become increasingly commoditised, especially over the last decade. Which is why, to some, it's no surprise that the advertising agency brand name has taken second place. "Ten years back, it would have probably been Y&R before VML and Thompson before Wunderman," says Shiv Sethuraman, former Group President, Cheil, South West Asia, referencing WPP's recent (and aforementioned) internal consolidation. In his book, this development is indicative of two things: Firstly, advertising agencies no longer have the equity they used to command; they've slipped down the value chain. Secondly, there's a belief that a data, analytics and digital-led agency brand will have a bigger role to play in attracting clients... and hence deserves to be the "lead name". "A development like this one is a network's self-conscious reaction to clients saying creative agencies no longer have the kind of value they once did. Media, data and consulting-led agencies are the ones getting CEO -and business- access," adds Sethuraman, who presently runs 'The New Business', a business-acquisition service for communication agencies. Upendra Namburi, who led marketing at Bharti AXA General Insurance recently, surmises about the name Wunderman Thompson, "A lot of the communication and marketing initiatives are getting more performance-led. The thought is probably to position itself as a marketing technology company, rather than a creative communications agency alone. It could also be an attempt to make it more 'downstream', more connected to day to day business. Typically, advertising has been about the communication, without actively playing a role in driving customer experience and sales." 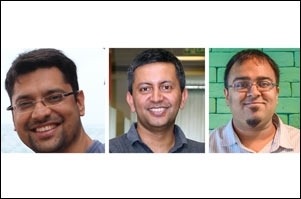 Karan Kumar, chief brand and marketing officer, Fabindia, says, "From a name point of view, they're obviously trying to tick the right boxes; Wunderman is associated with themes that are more conversational and topical in today's marketing context - like CRM, data, digital, analytics. This seems more like a back-end exercise to streamline both agencies, operationally and financially." "Optimising efficiency" is a more likely objective -and outcome- of the collaboration, than is a turn of fortunes from a new business acquisition and revenue point of view, he feels. "Agencies should fight the race in areas they specialise in, rather than acquiring seemingly newer competencies to be seen as more 'with it'. Whether a marketer's various needs - say, the need for communication and CRM - are met by a single entity or by different agencies from a single network, fronted by a common account manager, doesn't matter. The concern is: when you merge skill-sets, agency structures and leadership, it becomes nebulous and unclear which styles and competencies will trump the others..." Kumar adds. In a recent podcast, Varun Duggirala, co-founder of The Glitch - a "modern partner to ambitious brands", as described in the audio - says, "we all respect tradition but prefer to add our own spin to it". While he calls out ridiculous words like 'ad-pocalypse', he has, nevertheless, named the series 'Advertising Is Dead'. Sure, processes, mediums and client expectations have changed. Networks like WPP are trying to marry legacy creative brands with seemingly contemporary, futuristic outfits. Advertising agencies have started putting creative at the end of their descriptors - 'we do this, that, the other, and oh, we also make ads'. Soup though their kind may be in, can we imagine an Ogilvy or a Lowe being diffident and apologetic about making ads? Rajdeepak Das, managing director, Leo Burnett, sums it up: "Tech and things like branded utility are the future. Clients are paying us to build end-to-end solutions and entire ecosystems for them. Agencies are trying to highlight the services they provide beyond ad films. The next generation of marketers will not know JWT or Wunderman. They'll judge the new firm Wunderman Thompson basis the work it does now onwards..."
Are the best creative minds still in advertising?